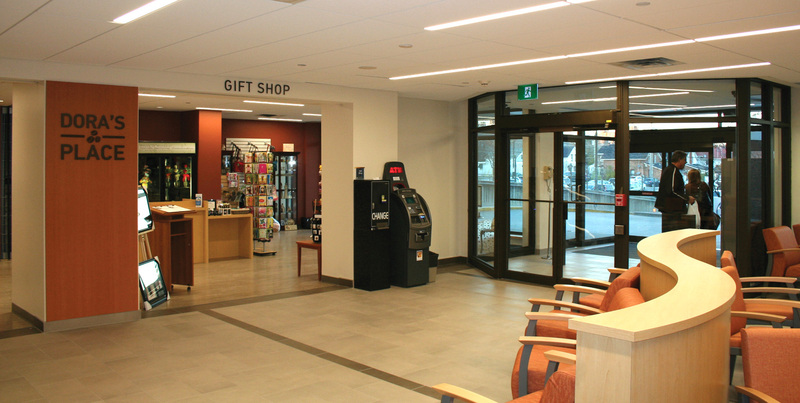 Orillia Soldiers' Memorial Hospital - Strasman Architects Inc. 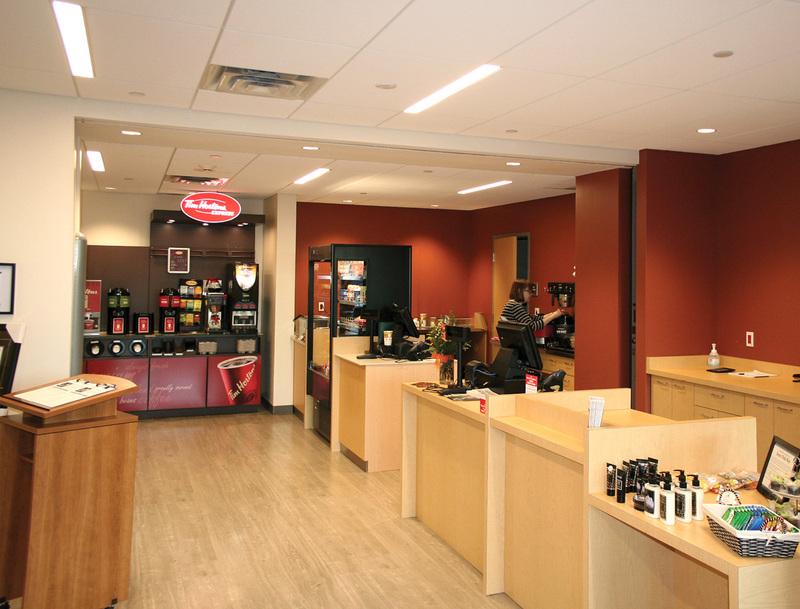 Working closely with the end users, numerous layout options were tested and specific details of the full operational requirements were reviewed to establish critical priorities within the unit. 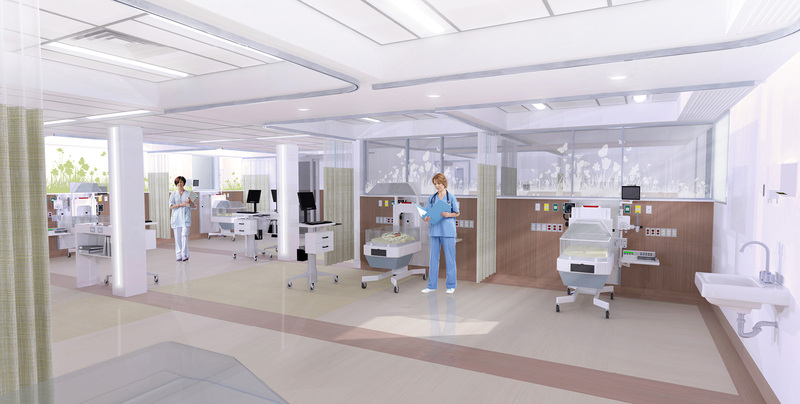 The final unit configuration involved twelve bassinettes, including a segregation room, configured in an open 3 pod solution. Two docking stations for Workstations On Wheels were incorporated rather than the traditional central team station in order to provide flexibility and space efficiency. 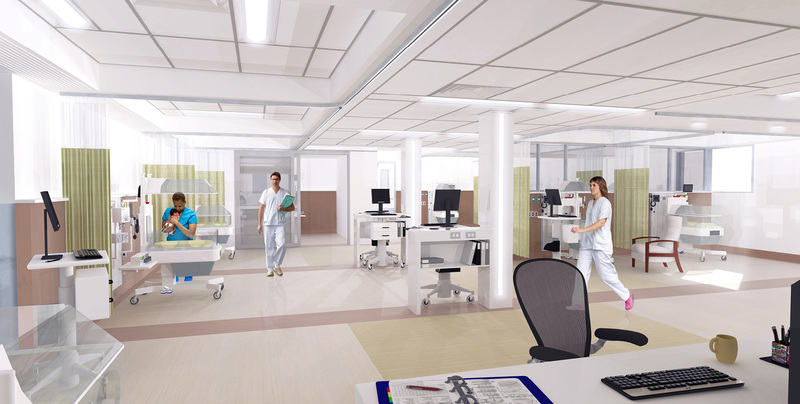 The planning and feasibility study involved working with the user representatives to resolve the current entrance, registration and triage workflow to improve efficiency, patient safety and to create a more welcoming environment to the public arrival. 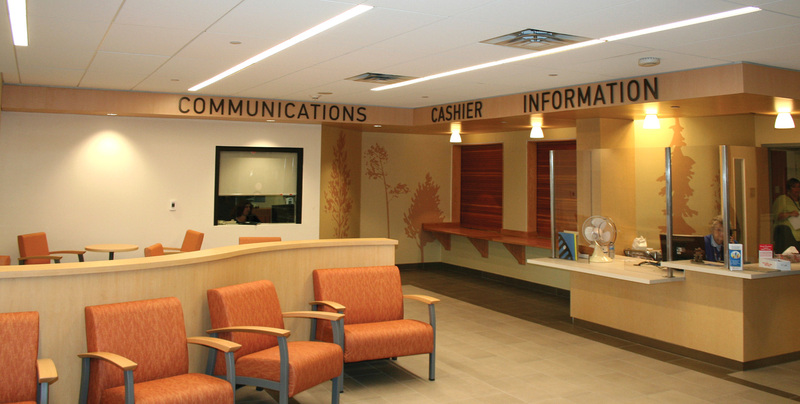 A new lobby, waiting area, two triage stations and a registration area was accommodated in the layout.